I've been dying to take the kids to this indoor play gym. Mostly because I continue to see groupon coupons that make the price for indoor fun appetizing. We have been in the house for a few days due to rain storms, so I knew the kids had some pent up energy they needed to release, so it was a great excuse to try it out! Located close to the Zoo in Powell, Ohio. It took about 30 minutes from downtown Columbus. I purchased a groupon for 3, 2-hour play passes for $10!!! 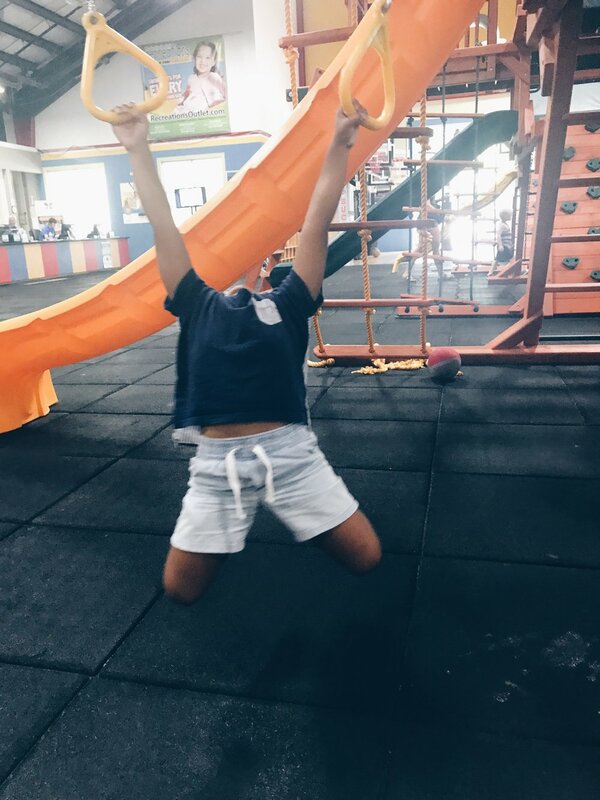 Regular prices are $6 for 2 hours of play for children older than 1, and if you can make it before 11am on Tu-Th then you can get a discounted rate of $2. 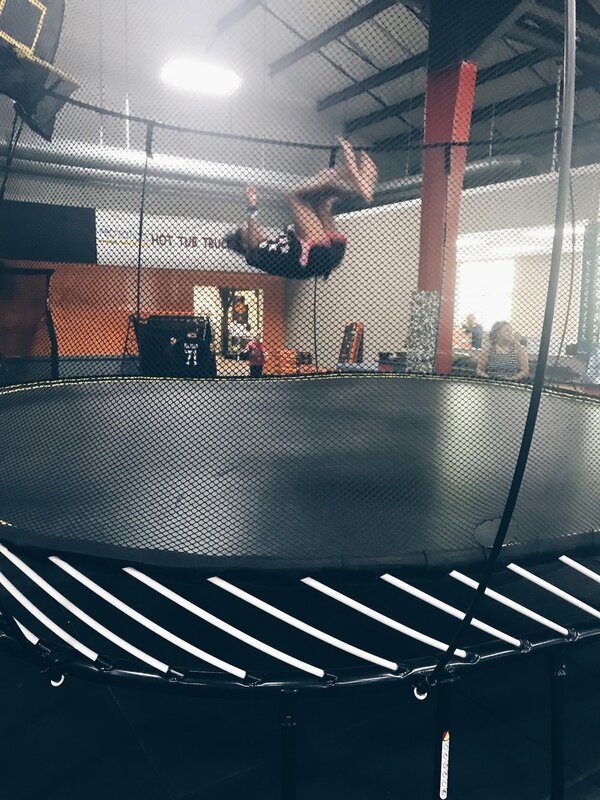 So this gym is unique in which it is a business that sells outdoor play gyms, trampolines, basketball courts, soccer equipment, etc. They allow patrons to come in to play on the equipment to promote the sell of the items. And yes it does make you want to drop a quick $2500 for a play set, but the kids are equally excited to have the ability to just come play. They also host birthday parties, local events, and sponsorship's. 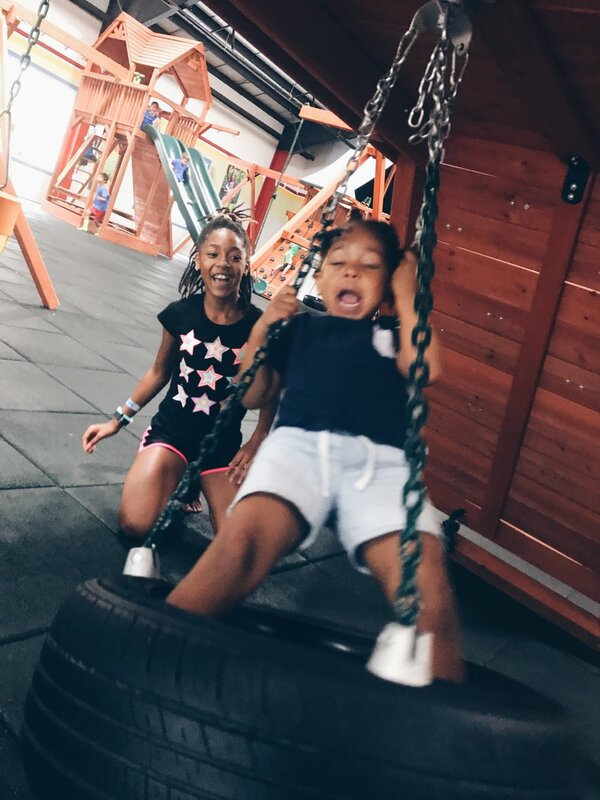 Kennedy had a blast jumping on the trampoline sets, while Karter conquered all the climbing walls, swings and slides. There is no snacks or drinks located in the building. I am a packer, so I made sure to carry small snacks and water because my kids when playing always need to refuel. The girls were exhausted after a few hours of play, so I defiantly would say it was worth it. I give this a child friendly review of 10 out of 10! I'm a sucker for a good pool. This year was my first summer off so I made it a point to travel to local districts to visit their pools. Something about Groveport just doesn't compare to the rest, it's in a league of it's own. I have not been in the indoor pool so this review is regarding the outdoor pool. So why do I love it so? Because all that this outdoor space offers. They not only have a kids space with a mini water slide, tons of things spraying out of no where. But they have a splash pad within feet of the main kids area for kids who just want to splash around. 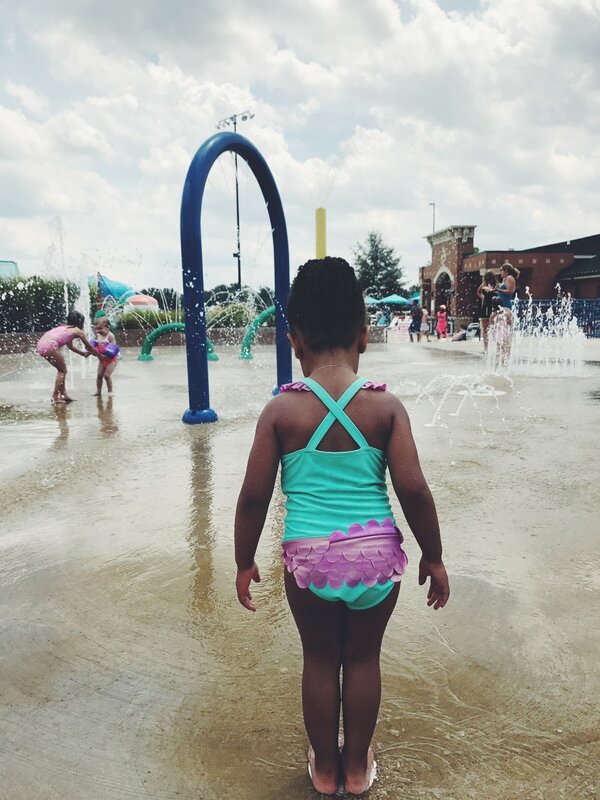 This was awesome for Karter (3) because there were times when the pool was just too overwhelming and she just wanted a little breathing room and the splash pad was a perfect place to do it! They have a huge lazy river, and Kennedy enjoyed jumping off the diving boards along with going down huge water slides. Plenty of seating, and places for Mama to get a tan, both me and the girls were dead tired when we left and nap time lasted awhile (lol). One con (because I am honest), there is no hot food options or concessions. There are only vending machines that take cash only with small snacks inside. I was prepared so I packed a small picnic basket of goodies because swimming keeps kids hungry. I did observe families ordering, or bringing in pizza from local pizza places. Daily rates are $8 for children and adults, and free for children under 2! The amenities were far more than the cons so I give this a rating of 9 out of 10! Am I the only parent who is signed up for notifications and alerts for family fun!? Okay good, recently I received a notice of a new play place located in Sunbury, Ohio about 30 mins outside of Downtown Columbus. 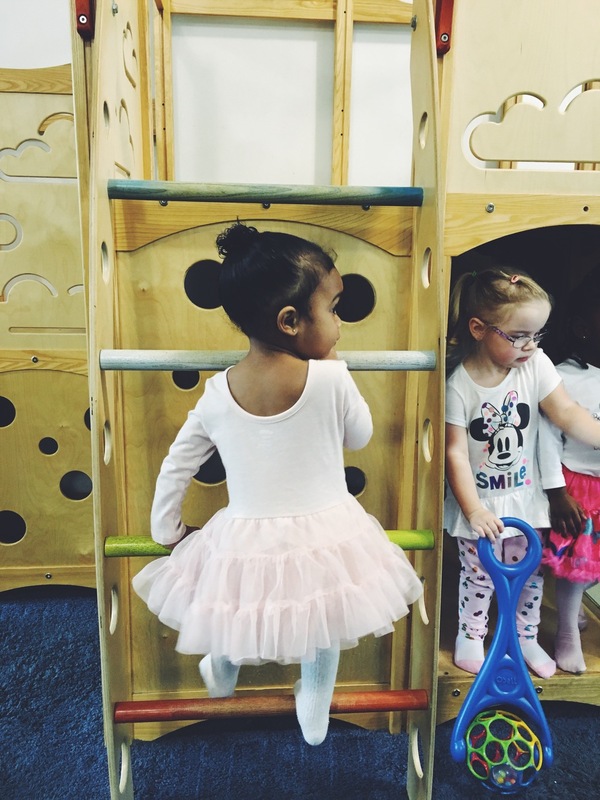 What initially sparked my interest was the fact that this play place was not only geared towards little ones, but offered fun for older children. Anytime I can get both girls to have fun in the same place is a win in my book! Upon my arrival and after talking to the owner, I discovered that this recently former skating rink turned play gym has been open for 5 months. Offering a small snack bar serving hot dogs, and pizza. They also have a video arcade, virtual reality games, mini bowling and a play gym. Karter's favorite spot was jumping off the soft play animals, and going around a self propelling train track over and over again. 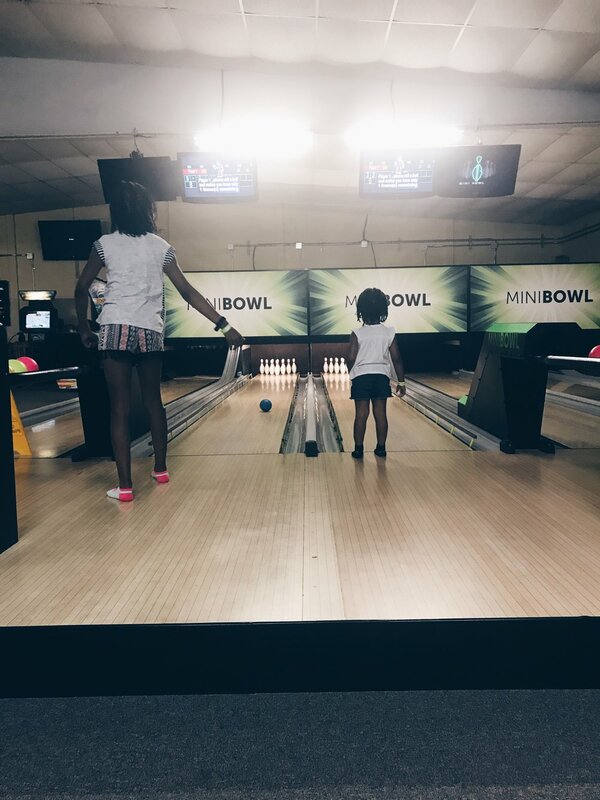 Kennedy was in for a loop with the VR games, and both of them couldn't get enough of the mini bowling sessions. My coupon offered 2 vouchers with unlimited arcade time for $12!! But I felt everything was very reasonable priced and affordable. They also offer birthday parties and they plan to continue to expand. I give this a child friendly review of 10 out of 10! Today me and the girls spent our day at the zoo. We usually go to the zoo a few times a year because when we go we never have time to see all that it offers. What made today special was we traveled to the zoo by COTA Bus. Just an FYI the COTA offers direct rides to both The Zoo and Zoombezi Bay, and with your bus ticket you can get discounted tickets to either parks. For more information please visit COTA.com. This is also a great way to teach young children about public transportation as this is a tool essential for adulthood. There is not much to be said. Columbus offers one of the best zoo's in the Nation (we actually hold that accreditation). Endless animals, play parks, food, rides, animal interactions, tours, and shows. I just can't say enough. Just as a reminder to parents, make sure to pack or plan to buy plenty of water and snacks. If your children are anything like mine all the walking leads to hunger, and of course items in the park are overpriced. 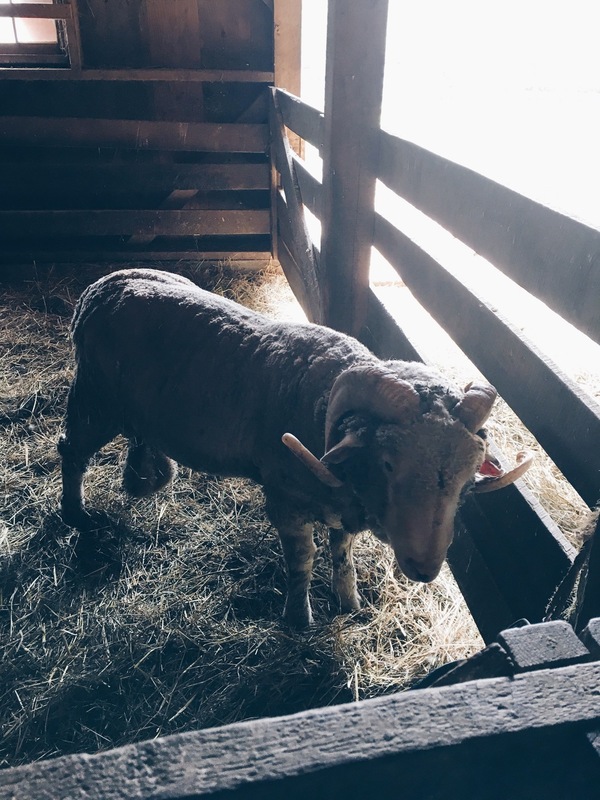 Great for all ages, I give The Columbus Zoo a child friendly review of 10 out of 10! I have to admit today I was exhausted. I really couldn't muster up enough energy to do anything big. So we decided to keep simple. I believe sometimes simplicity is best. 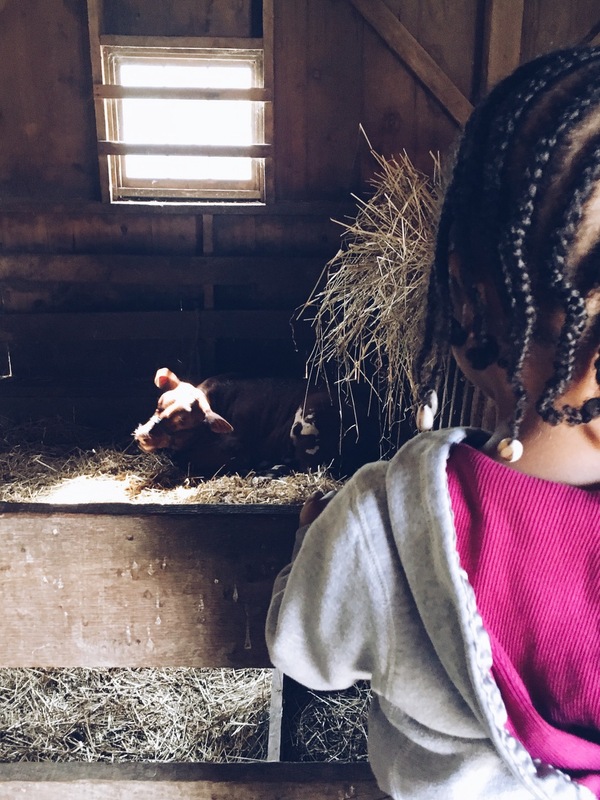 As parents we begin to feel like we have to take lavish trips, or provide big experiences for our children to grow. I have begin to understand that it's the time spent that is most valuable. With that being said we went to Chick-Fil-A in Grove City. There are several placed around Columbus, Ohio and they are all equip with play equipment. 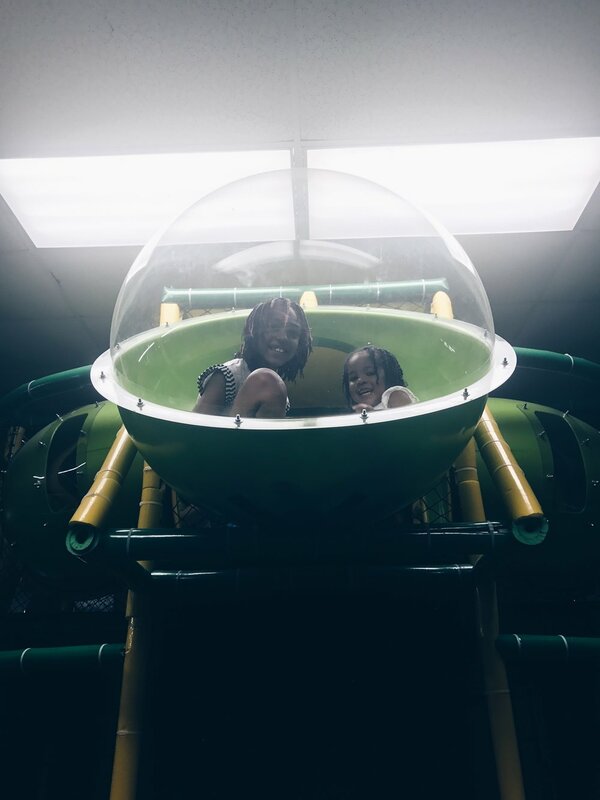 We ordered our favorite chicken sandwiches, and as my older daughter and I talked, we watched Karter play in the small play area. This gym is similar to McDonald's, but I like it a little better because the chicken is real, and the overall atmosphere is clean and friendly. The play gym is for children 6 and under, totally free, and a quick way for kiddos to burn a little energy. So if your looking for simply joy and some yummy food look no further. I give this fun little play place a 10 out of 10.
Who knew this hidden gem existed. A little birdie (co-worker) mentioned a cool rock climbing place in the area in which we work. They know I am always in search of cool activities to do with my kiddos so they had to share. Located in Worthington about 20 minutes from downtown Columbus. Vertical Adventures has 2 locations. The biggest gym offers more adult activities ranging from classes, to open gym. 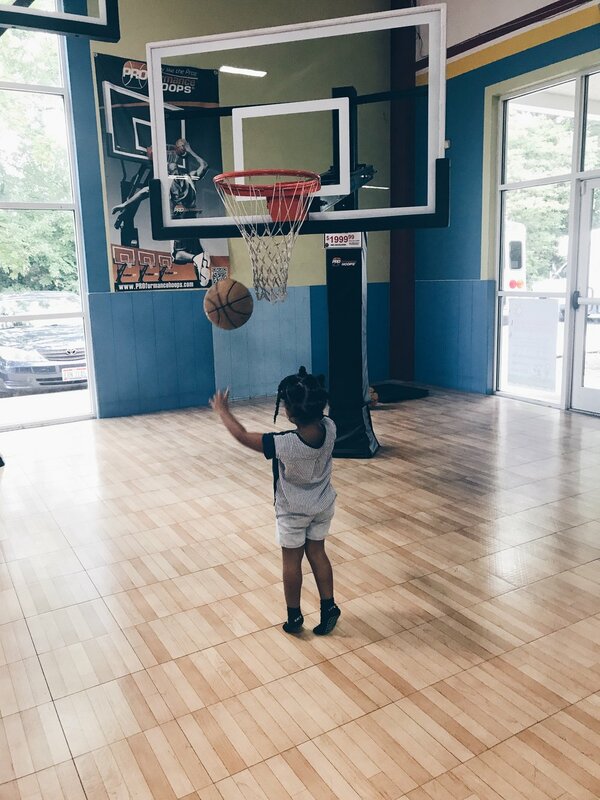 The smaller gym, the one we visited is geared towards children of all ages. Let's talk about the space for a minute. The gym itself was pretty amazing. 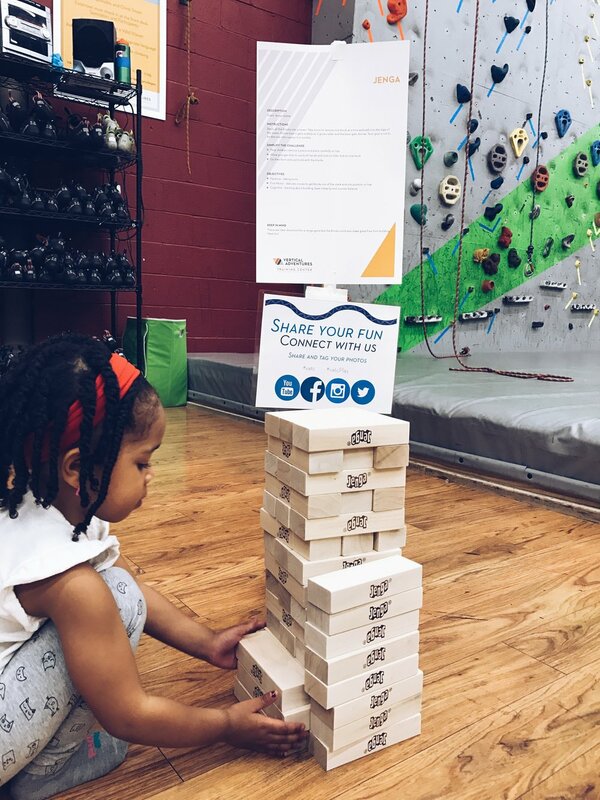 Wall to wall coverage of climbing walls, obstacle courses, and all you could think of balance and coordination equipment. Great for sensory play, and gross motor development. Both Karter and Kennedy were able to maximize the entire space. 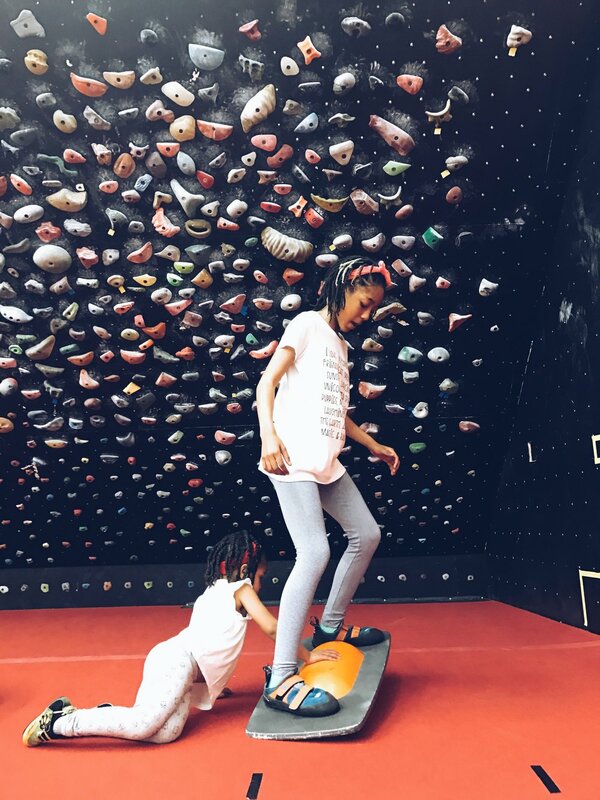 The smaller gym offers kids classes, camps, and host many events such as family nights, and movies. There is a small picnic area designated for snacks and food: you bring yourself. There is small vending for drinks. Probably the best part of the entire experience is that the first visit is totally FREE!!! And after that you can purchase day passes ($5), and monthly passes as well. The staff do an amazing job showing you how to use the equipment, supporting you during the process, and trusting you enough to challenge yourself. Kids free play is offered Mon, Tues, and Friday 10a-3p. Be sure to check online for other scheduling. If I could give this facility a rating it would be 20 out of 10. But since that doesn't make sense I will gladly give them a 10 out of 10! Nick was awesome. And he is 7 months in to loc journey! This year is the first year I have had a actual spring break. I am usually working and the kids are in a camp, but this year things have changed. Gratefully my new position at the school district has provided me with regular breaks. In the great part about it is my kids are on that same schedule (Thank you baby Jesus). So when I checked the weather for the break I saw high 78 degrees and I immediately thought of water. It's been a year since we have went swimming and I couldn't resist planning a trip to the pool. There are several community pools in Columbus. What attracted me to this pool was the location: center of Worthington, about 20 minutes from downtown. It's price: free for kids under 3, $5 for older children, and $8 for adults. The cost covers you for the day so you have the ability to come and go as you please. Equipped with a lazy river, hot tub, water slide, and free swim. It was the perfect way to start our break. There are also local parks, gym equipment, track, ping pong, and community space to host events. Just a few tips to plan your trip: there is no food options, me and the girls packed a light lunch, swimming can make you hungry. There are vending machines that have both snacks and drinks at regular pricing. Pack swim towels, goggles, etc. They have floats and life vest at no extra cost. 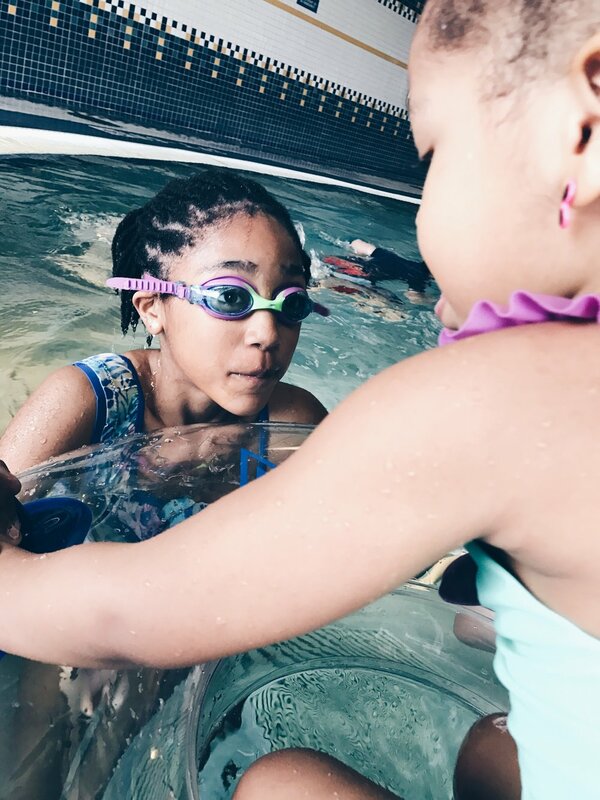 Be sure to check the swim schedule to make sure it is open for free swim because they do host classes. We enjoyed our visit for about 4 hours. As soon as the girls got in the car, they crashed. I give this indoor pool a solid 10 out of 10. We are now settled into our new home in downtown Columbus and I am ready to take full advantage! I have been out in about about in downtown searching for places to take the kids and have found so many spots to share. The weather has been great, which makes for a fun outdoor activity. We initially went downtown for the Blue Jackets " Winter Park" fun, stationed at Nationwide Arena, offered the full month of February. During the month they offer a outdoor ice skating rink, ice slides, hot cocoa, and roasted marshmallows. We were turned down due to the temperature being too warm causing all the ice to melt outside. So we begin walking around and quickly found that The Chiller "OhioHealth Ice Haus" public indoor ice skating rink!! We have visited the location in Easton, but was surprised to see one tucked just 5 mins away from home. We quickly strapped up our gear and skated for a few hours. Admission runs $5-7 bucks and free for children under 2. Full time laughter watching the girls fall and get back up from the super slippery ice. No food but lots to drink with a "Tim Horton's" connected, it was the perfect early spring getaway. I give this experience a 10 out of 10! Lots of smiles. I would recommend helmets for small children, and jackets for the cool rink! Nothing like a variety of fun in one place! Star Lanes offers bowling, game room, and super delicious bar and grille. Location is off of 71 N by Polaris Mall. 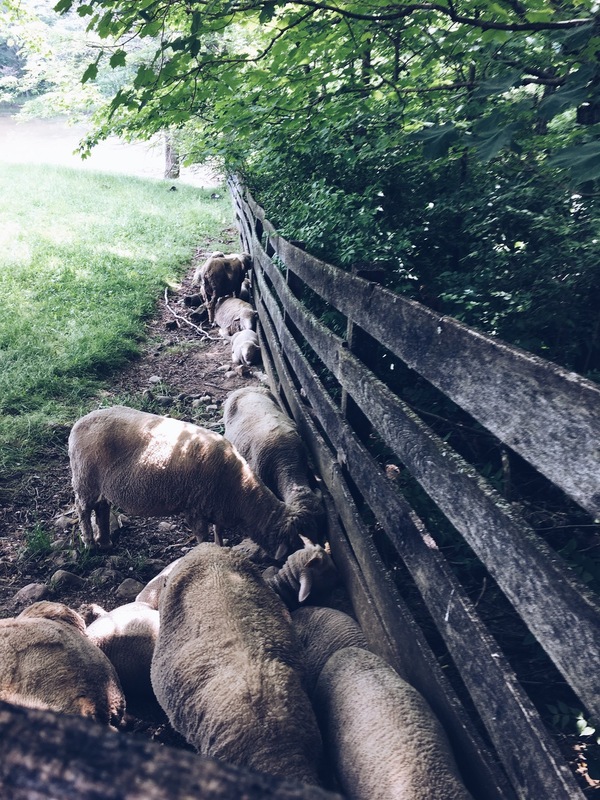 My family and I ventured off on a Saturday morning and was shocked by it not being crowded. We enjoyed a hour bowling time that cost us around $30, and allowed us to play 2 games and this did not include shoes that were about $4. While enjoying bowling we ordered food from our lane, and were able to eat as we played. We tried fish tacos, pizza, fries, quesadilla, and chicken. I know that sounds pretty greedy but the food was really good. We then ventured off into the game center where we brought a $30 game card that earned both my girls several games and prizes. The game room had a variety of different games in different age ranges so there was fun for my husband, oldest daughter and my toddler. I would give this a child friendly review of 8 out of 10. A little far from my home, too expensive for my liking, but overall the girls had a ball! 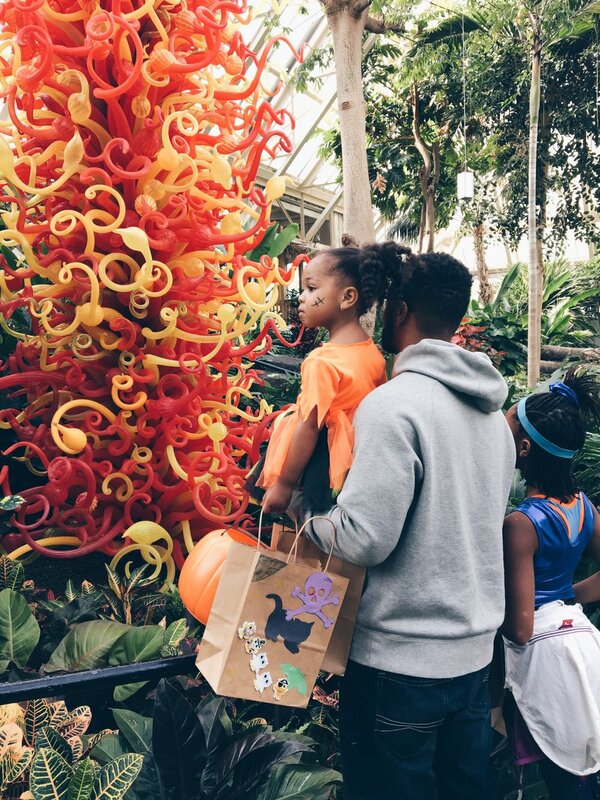 During Halloween season we took the opportunity to go trick or treating at Franklin Park conservatory. Located 5 minutes away from downtown Columbus, and conveniently placed tucked in Franklin Park. This activity was breathtaking. Admission costing $14 for adults, $7 for children 3-7, and all children 2 and under are free. There is a nice cafe for food and drinks, and an outside park that the kids have me take them too weekly for free! Inside the conservatory you can find family events taking place (events listed on website), as well as magical place of green. As you walk through you will be able to learn about plants and flowers like you have never done before. Franklin Park Conservatory and Botanical Gardens offers enriching and memorable experiences inspired by art, culture and the botanical world. I felt like this activity was more calming then most because as I walked through I would just breathe in the fresh air and really take in all that nature has to offer. I would give this a child friendly rating of 9 out of 10. Can be pricey for large families, but the experience is worth a try. Located in Groveport, Ohio about 20 minutes from downtown Columbus, this gem has everything fall. Costing $8 per child over 2 years of age. Price including all activities not limited to a hay ride, a small pumpkin, and face painting. 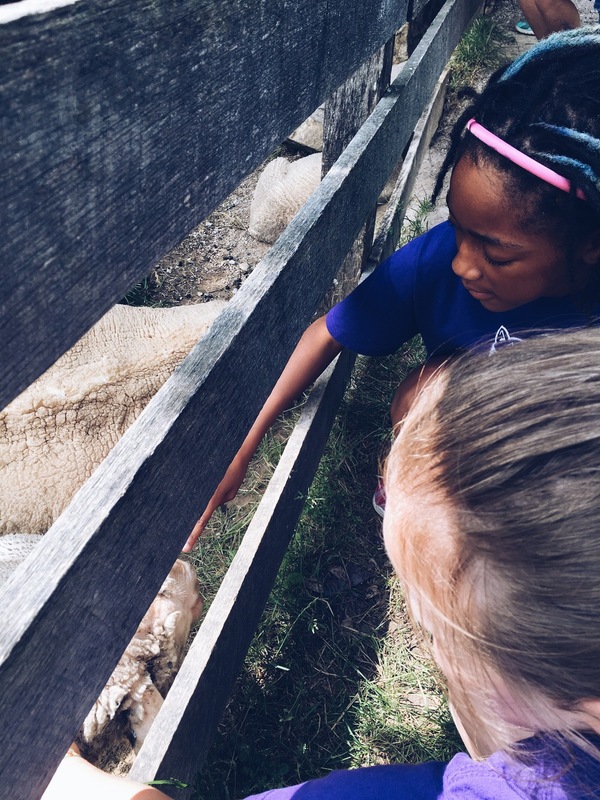 Small farm animals were accessible and friendly, and the staff was sweet and accommodating. 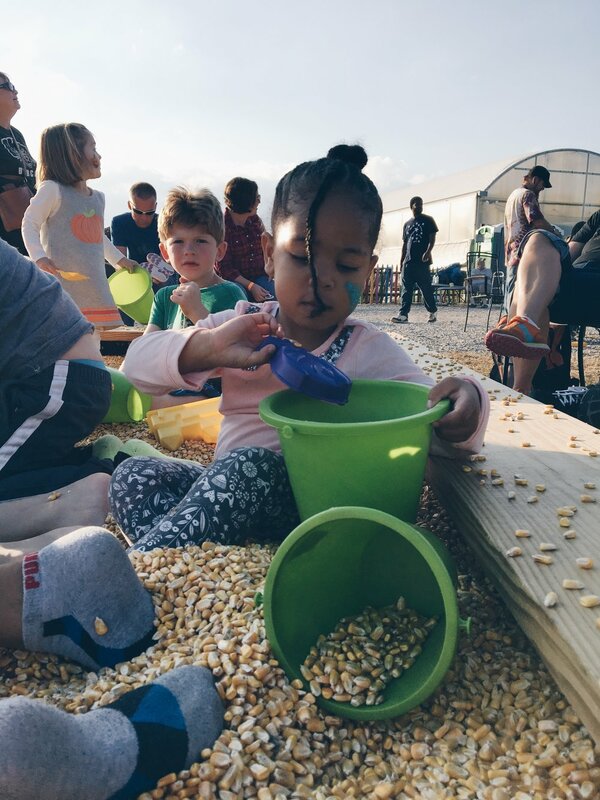 We begin by a countless number of corn mazes, roasting s'mores and hot dogs in a fire pit, tubing, and of course my favorite, the sensory pit filled with dry corn!! I was shocked by the amount of things to do, and thought it would not end. I even commented to my mother who joined, are you sure we paid for all of this. It is totally worth it! Did I mention a snack stand with very cheap options such as water, juice boxes, and popcorn as well as those super simple s'more and hot dog kits for only $1! If you're looking for something not so crowded to fulfill your fall needs, try out this place. You can even enjoy the inside housing some great greenery as well. Open weekdays per reservations, limited Friday's and all day during the weekend, check it out! I give this activity a 10 0ut of 10. Maybe it was the beautiful weather that accompanied us, but I say it was perfect! You can never go wrong with a trip to a library. Columbus and surrounding districts are full of them. This particular trip I took the girls to the recently renovated "downtown" library. Located in the center of Columbus. Not only does this library offer more books than you could imagine, it has a small art space, simple cafe, and an awesome kids room. Karter didn't want to leave. 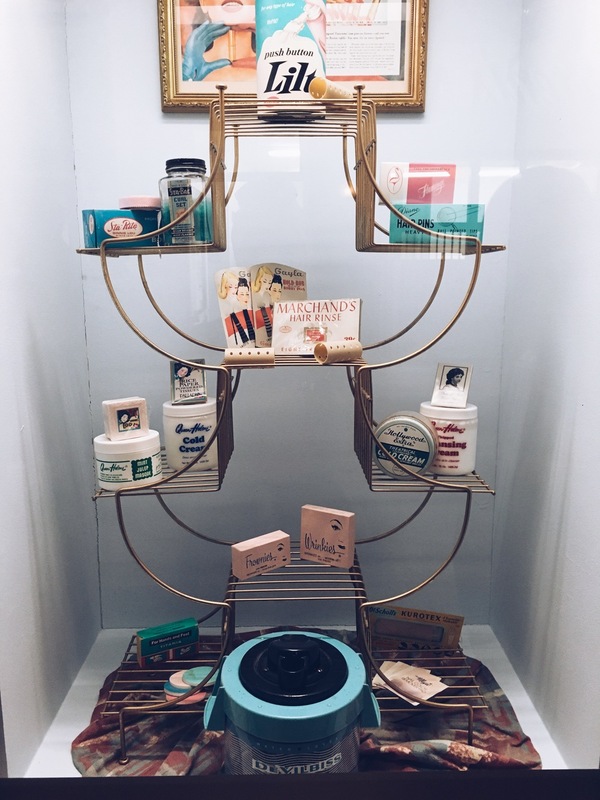 Filled with discovery at every corner. 50 book max for all check out items, and don't let that turn you away because at any age a child has the ability to get their own library card. Kennedy and Karter love using their own cards (independency), and it teaches my oldest to be responsible for her return dates as well as keeping up with her books. I really can't say enough about a library. Kids who read daily have higher test scores, language ability, and over excel in all areas of child hood development. Look out for reading programs in your local area, tutoring, homework help, story time, just to name a few. If your'e looking for a free but more than money can value resource, please take your child to a library regularly. This is a no brainer....this library and every library will always get a 11 out of 10 in my child friendly reviews! Our once a year trip to Cedar Point was awesome! We try to do a trip to either Cedar Point or Kings Island once a year and not any more because it is way too expensive. The experience is well worth a visit when you can afford to do so. But I can see how this can be a challenge with families with multiple members. Ticket prices range from $48- $150. Higher range tickets include the fast pass option, which gives you the ability to bypass all lines, which in return assures you the ability to ride more rides. Soak City Water park tickets can be purchased at an additional price or included with a ticket to both parks at a discounted rate. Food passes are $35, allowing you to eat every 90 minutes, and well worth it if you plan to spend a full day at the park. Unless you plan to pack, which is totally okay as well! We decided to go for my 31st birthday celebration with a few friends and family. And although we almost went bankrupt (joking) we had a ball! We spent the entire day at the park, enjoying all the roller coasters, and even cooling off at Soak City, which also includes a beach, and adult only area with a full swim up bar. 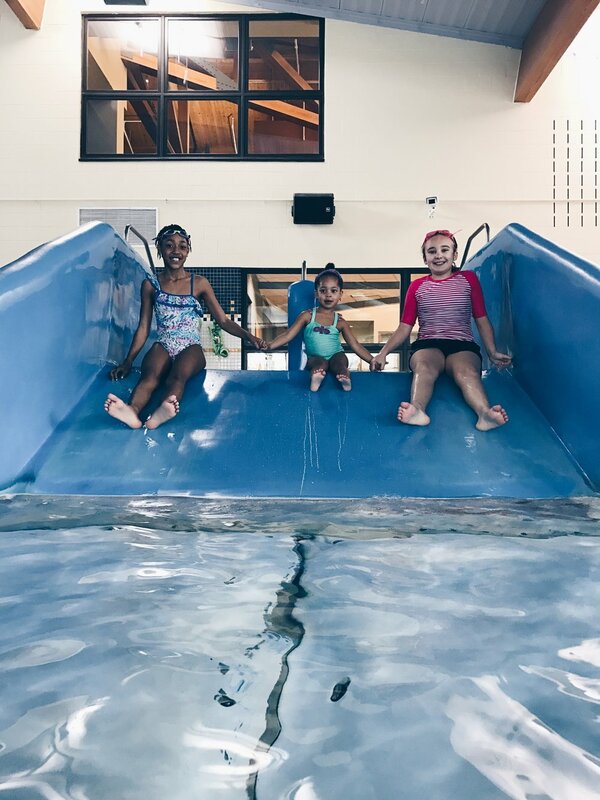 Water slides, wave pools, and all water fun! In addition to both parks great located in Cedar Point is a great little kids area called Planet Snoopy where Karter (2) was able to enjoy! My mother does not ride, so while we went from coaster to coaster, she took Karter around Planet Snoopy, and went toddler crazy! No disappointment here. I'm a big kid at heart so it was a feeling of nostalgia riding each coaster, bringing me back to my younger years. Kennedy, my brave girl, went on every ride she measured tall enough. Located about 3 hours from Columbus in Sandusky, Ohio. Hotel options are available, but when researching I did not get a lot of positive reviews. If you're up for the challenge, and little road trip I give this a child friendly review of 8 out of 10. Remember to bring comfy walking shoes, stroller or wagon, lots of water to stay hydrated, and to get your money worth stay until it closes! Ha! This weekend in Columbus it was a whooping 95+ degrees outside. 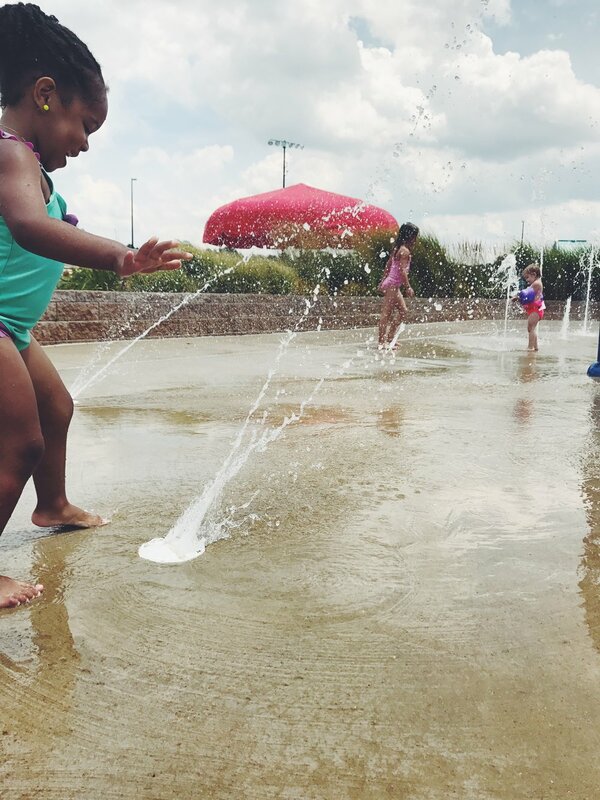 I am eager to find fun free ways for the kiddos to find a way to cool off! 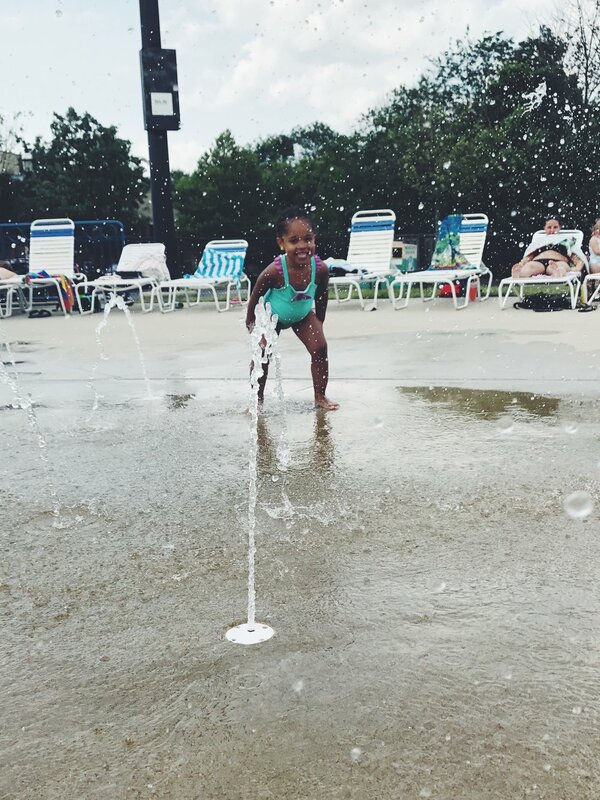 Of course we could go to a local pool, but I thought it would be fun to go play in one of the biggest fountain/splash parks in the center of downtown Columbus, Ohio! Oh how I love anything free! This fountain park is one for the books! With both small and big amounts of water fun. The Scioto Mile Fountain presented by AEP foundation, a stunning 15,000 square foot marvel, shoots more that 1,000 jets of water, enhanced by a unique lighting and fog effects, and is interactive and accessible for visitors of all ages. And if you're lucky, you can hear live music at the performing art stage a few feet away. If that doesn't increase your urge to go, there is a beautiful restaurant located right next to the fountains. Milestone 229 overlooks both the fountain and riverfront with both lunch and dinner options (Date Night without kiddos)! I give this fountain park a child friendly review of 10 out of 10. Free, Fun, with a beautiful scenery to match. As you know downtown runs several festivals and events. 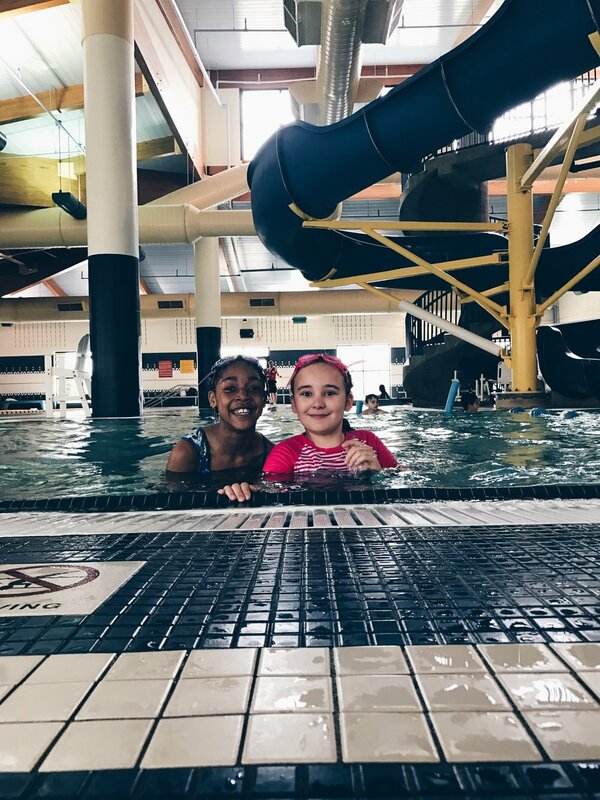 What a way to have the kids buy in or buy time by allowing them to play in water while you enjoy some music, food, and good vibes! Park hours vary between 7am-11p! Looking for a game room to show off your competitive nature, or just to have some solid family fun. Look no further, Dave and Busters has 2 locations in Columbus, Ohio. Both having very similar layouts, and offering the same games in both Hillard (West) and Polaris (North). Both locations about 20 minutes away from downtown Columbus. These game rooms not only have a variety of diverse range of games, they offer a restaurant with some yummy options after playing some high energy games. The menu has a variety of quick bites, burgers, and even big entrees. The awesome bonus about the restaurant is that you can select a meal option that includes a play card for an discounted price. For my caregivers, they offer a full bar, which can be used for a fun date night, or just to tolerate sensory overload, lol. For my oldest (9) had a blast, she was able to play all the games and enjoyed competing with her father who is a sore loser. For Karter (2), mommy was left chasing her, in fear that she would get lost. It can be very crowded on weekends and evenings. Very high volume, and although she enjoyed pushing buttons, there were no games quite for her age. So I allowed her to pretend she was doing whatever she chooses. Great thing about the game center is the rewards. Kennedy racked up over 1000 tickets and was able to get both herself and Karter a little gift. The kids left with little energy and slept on the way home! (Mommy Win!) I give this game center a child friendly review of 8 out of 10. Great for older children, but can be a little overwhelming. Price depends on how many games you like to play and can get pricey if you child runs through the game card quickly. Oh how I love an adventure. COSI Science center is definitely a place to experience. 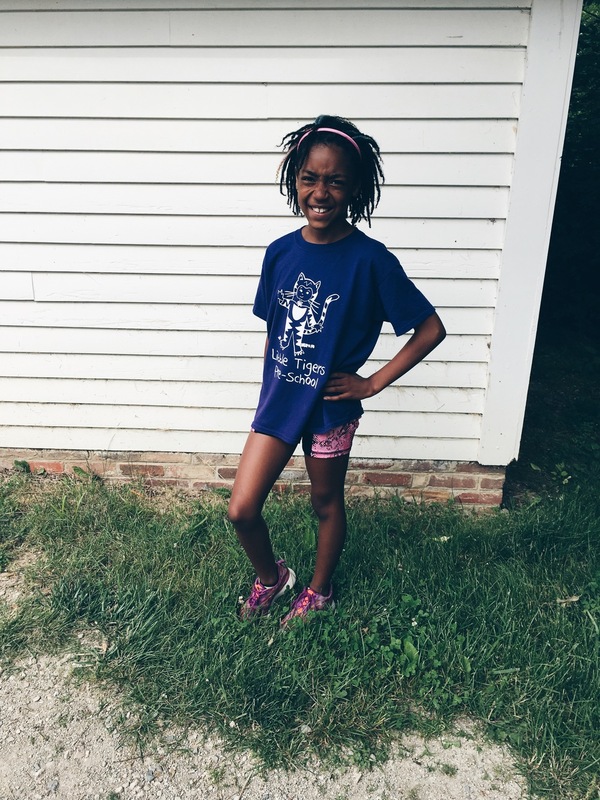 Located in downtown Columbus, it offers a family fun culture of discovery and imagination. This gem is great for kids of all ages, and even adults. With each showcase/room offering a different education experience you won't forget. We traveled to space, learned more about the ocean, traveled back in time, engaged in sensory play, and used a heck of alot of pretend play and brain power!! This place is ahhh-mazing. They host workshops, adult nights, movies, birthday parties, and a cafeteria with tons of food options. I can't get enough of COSI especially because my oldest daughter is a science nerd. They offer affordable program packages for low income families as well as discounts and coupons offered online. Otherwise it can be pricey per visit, especially those with multiples. I wouldn't let the cost deter you from coming. 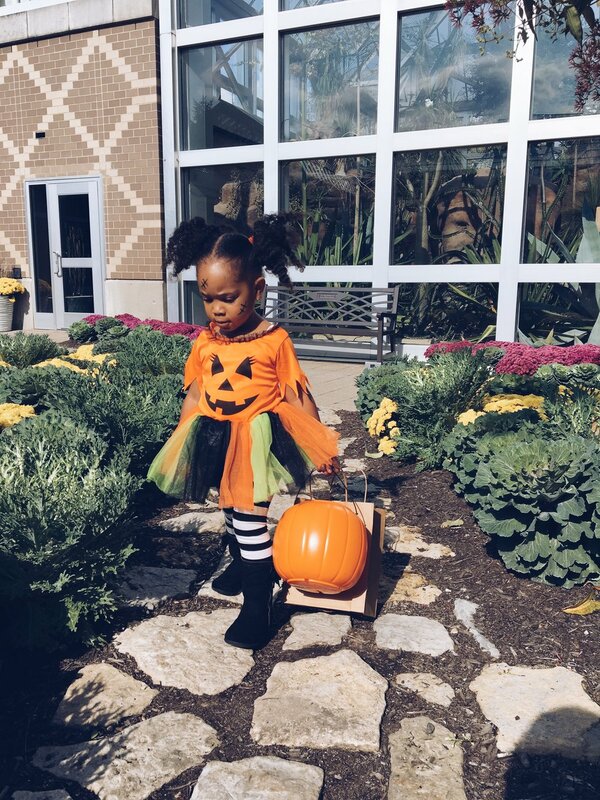 If once a year can satisfy your soul, I think you and your child will be happy. I give this a child-friendly review of 9 out of 10. Only because cost makes it challenging to visit more often. For more information on planning your visit please visit cosi.org. Summer brings me so much joy! Partly because of the weather, but mostly because of all the summer activities and long drawn out days. This FREE summer activity is not only free, it is offered throughout Central Ohio at local parks and community areas. 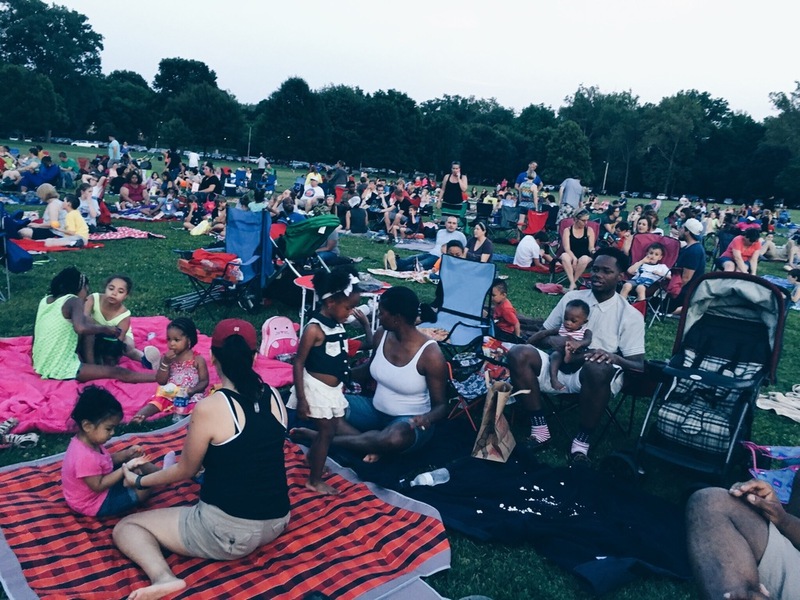 Movies under the stars allows your kids the freedom of the outdoors, all while enjoying a movie that appears on a projector screen. My family packed up picnic style with blankets, chairs, snacks, etc. Find a space on the grass, and once the sun clears....a movie appears! I give this free summer activity a child friendly review of 10 out of 10. Be aware that movies are scheduled to start at dusk. My experience is that they will wait until nightfall (9-930p) before it really starts. No worries, some communities have parks, food trucks, etc to keep you entertained. Below is a list of all movies and districts they will appear! Hope you enjoy! Please click the links to learn there location! I decided on this open play space for Karter's 2nd birthday. Can I just gloat in my glory for a moment. 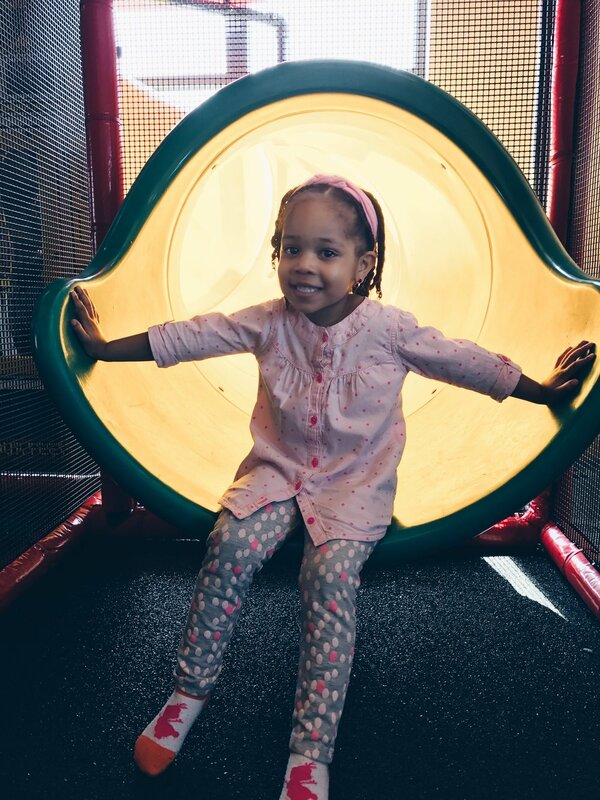 This indoor play cafe by far is one of the best play spaces in Columbus, Ohio. 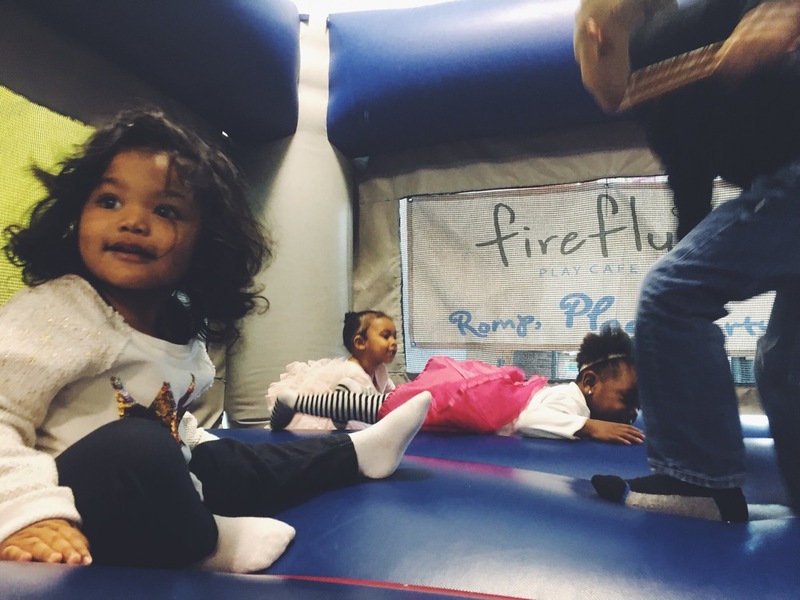 Firefly is the first play space to open in Central Ohio and has been operating for over 6 years. During the week they operate from 9-5p, with pricing ranging from $5-$8 depending on the age of the child. Children under 12 months are free. This indoor play gym has everything! 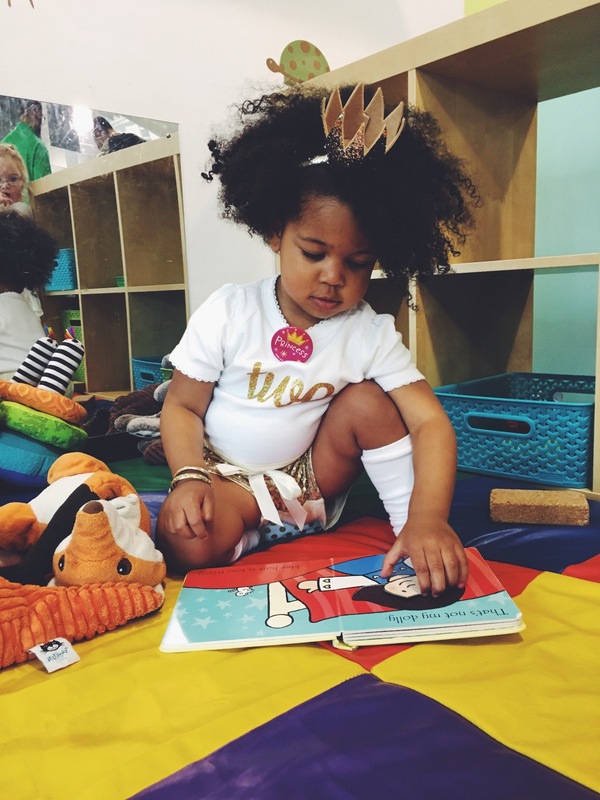 Library nook, play gym, pretend play areas, and even a inflatable bounce house! The floor plan is open, clean, with lots of natural lighting, and space for kids to run wild. The tea, and coffee options are delicious and local. They also offer classes for the kiddos and parents, details listed on the website. Andrea was our party host, and she did a fabulous job with making the birthday party successful. We rented the party space for $245, Firefly provided us with 2 hours of free play, the entire space to ourselves, party host, and free beverages. I was able to bring in any food, and decorations items I wanted. And did I mention I was able to bring in adult (alcohol) beverages for the party guest. I mean this was just perfect. I can not say enough about the service, location, and amenities. Parents tend to think Columbus has nothing to offer, I am hear to tell you that there is some true gems amongst us. I give Firefly Play Cafe a child friendly review of 10 out of 10!